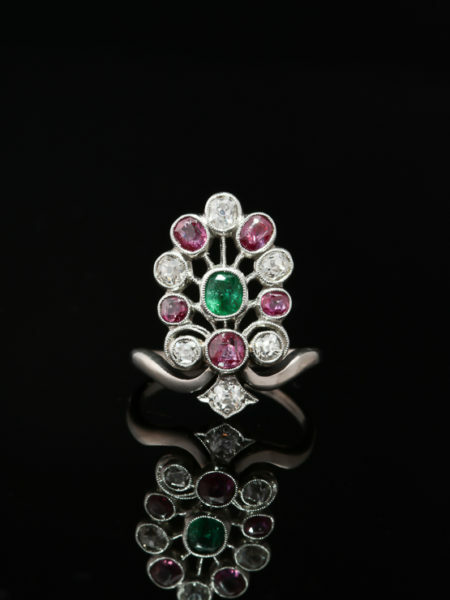 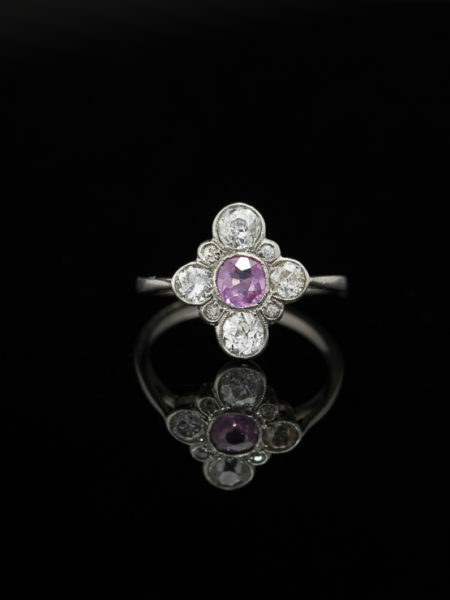 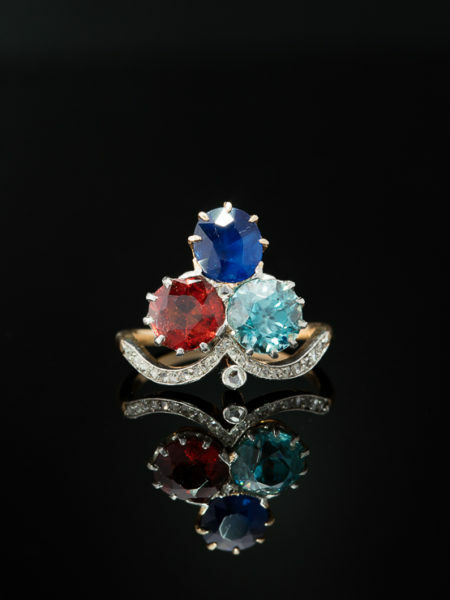 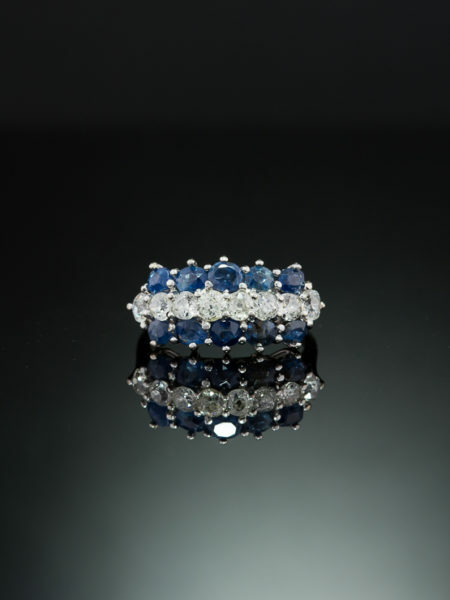 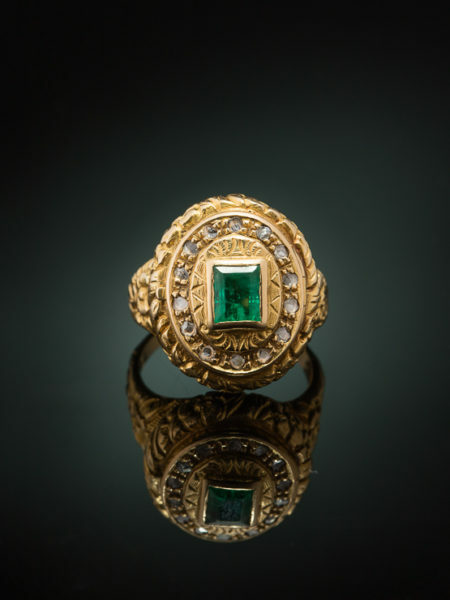 A cluster of gems or diamonds has been an integral form in the history of jewelry. 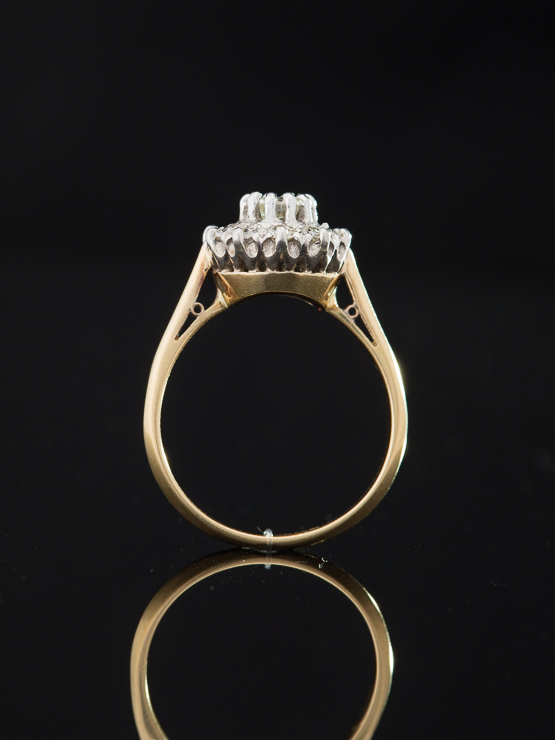 Designer have used this configuration creating visions of sophistication and drama along centuries. 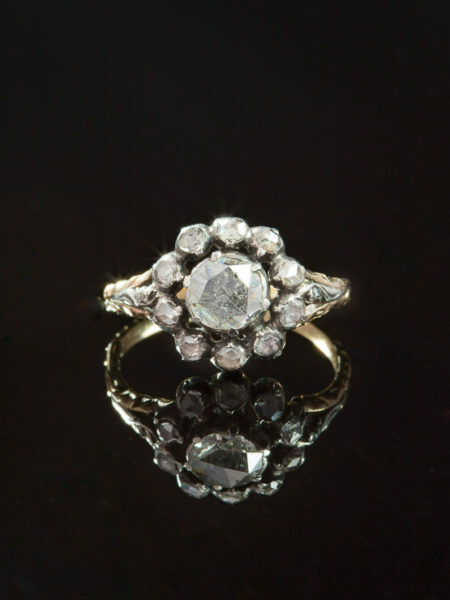 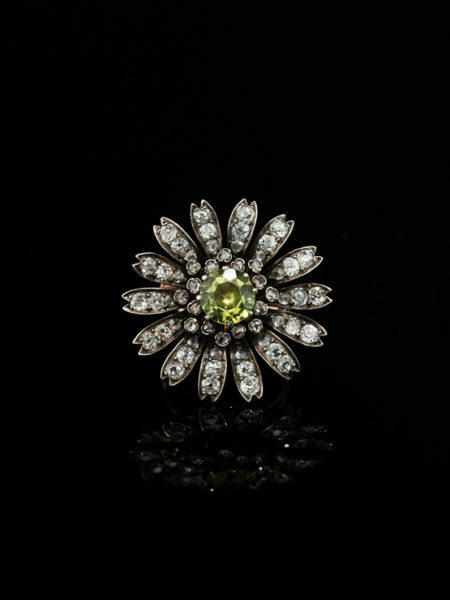 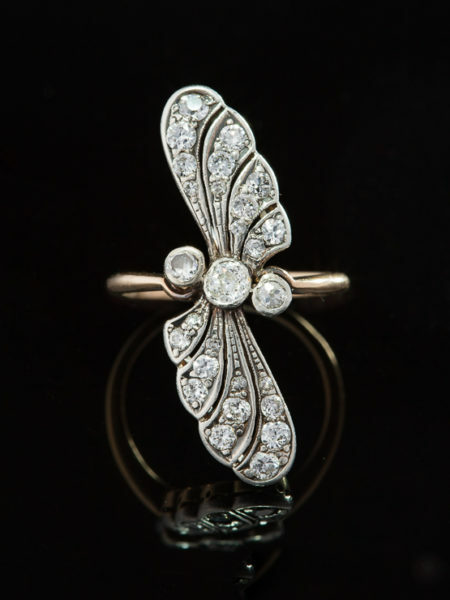 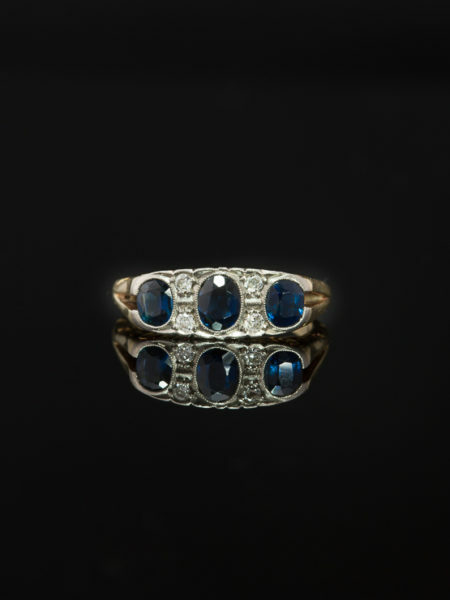 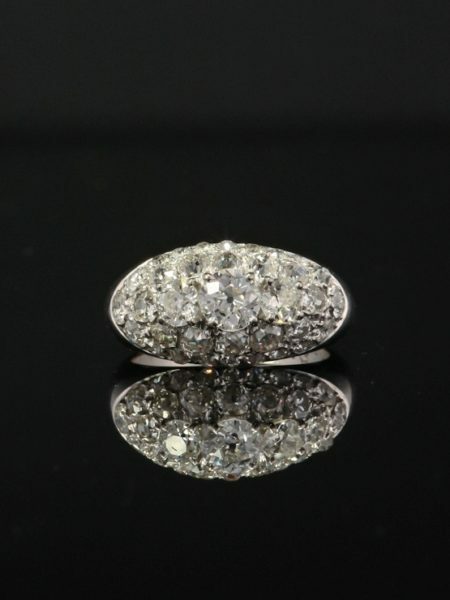 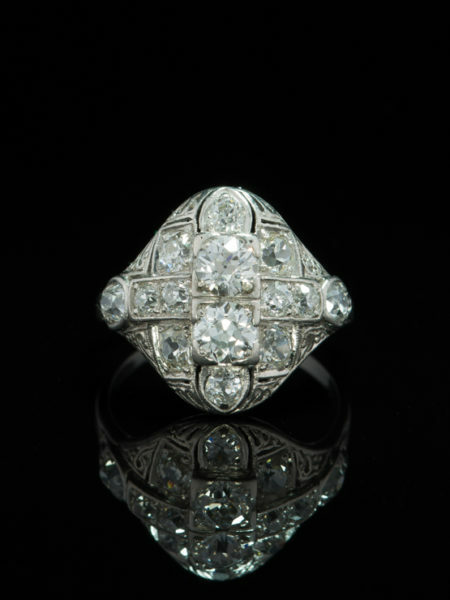 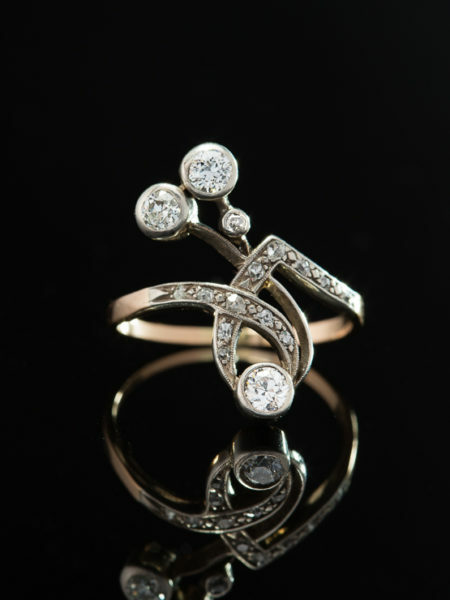 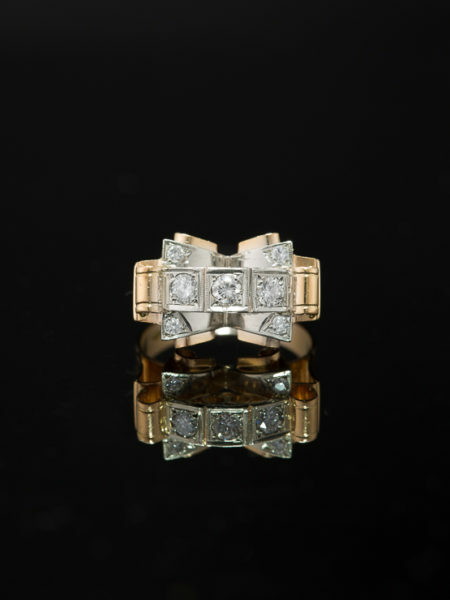 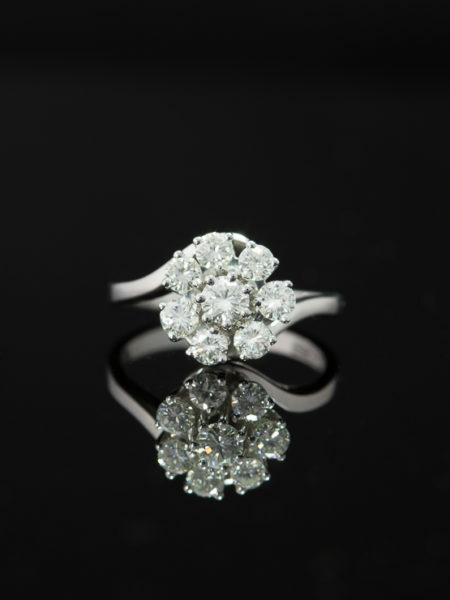 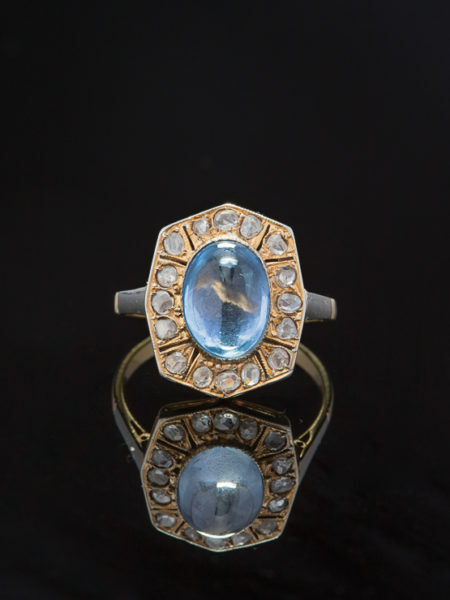 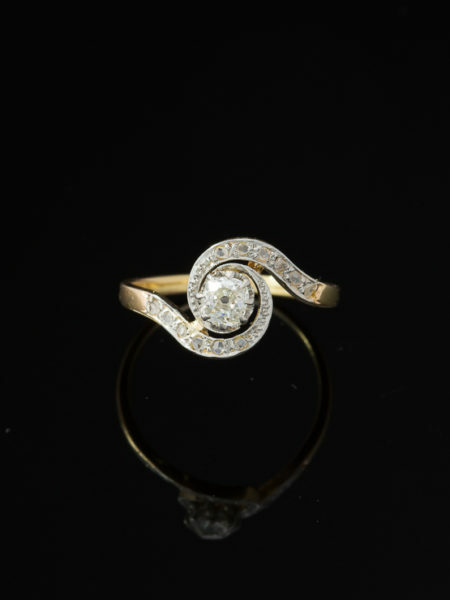 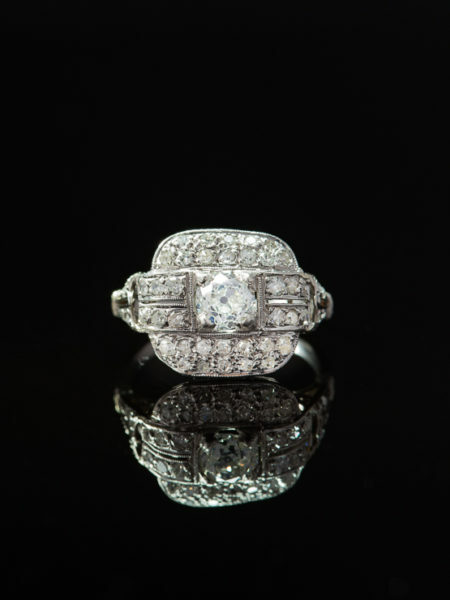 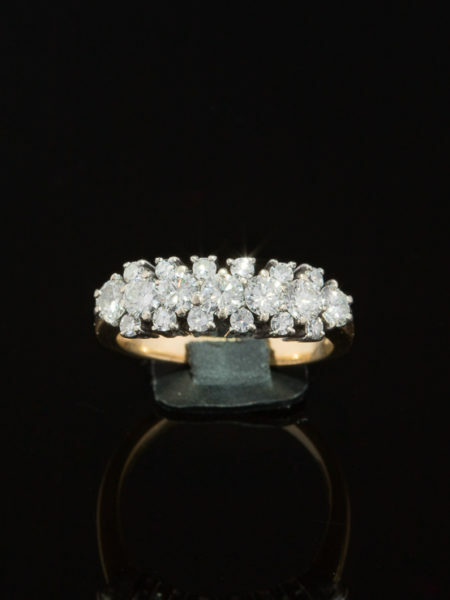 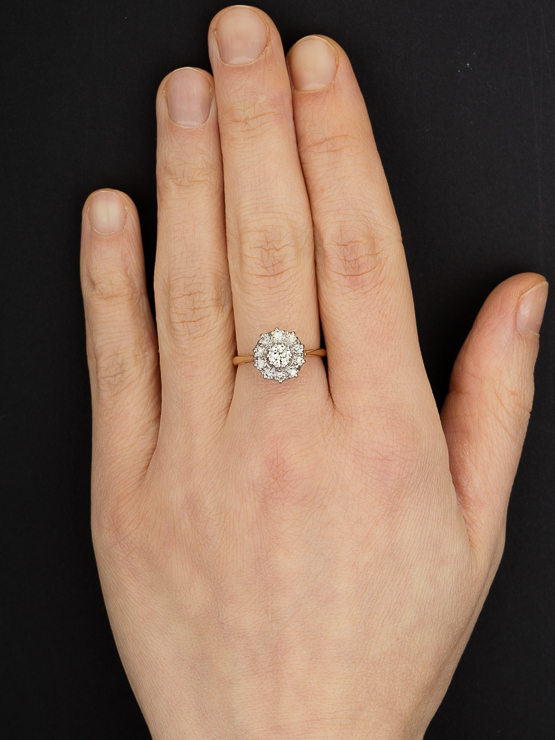 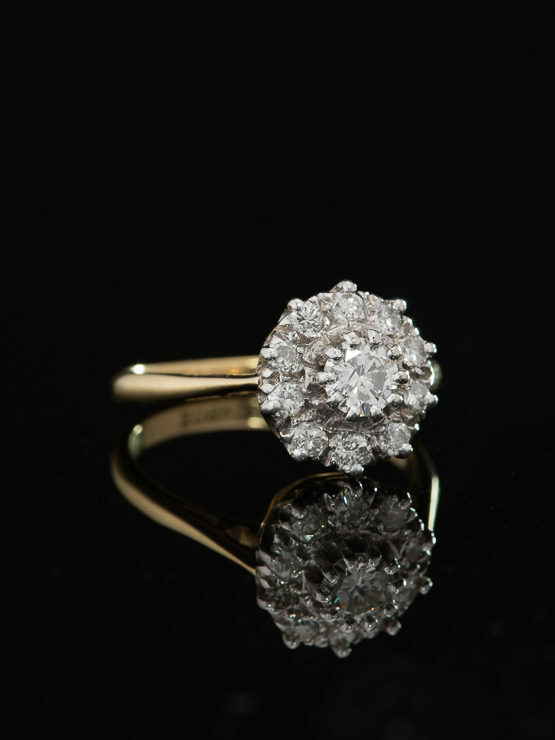 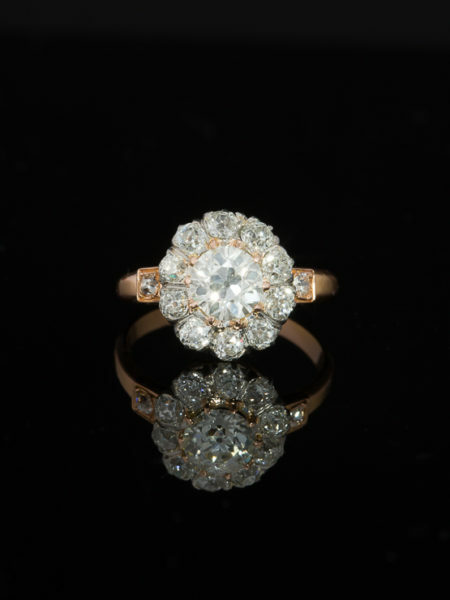 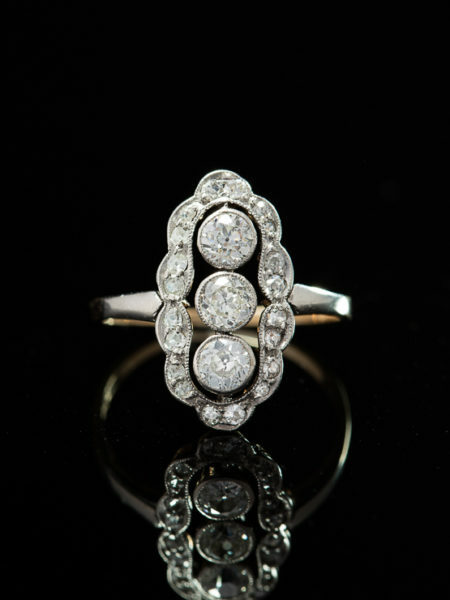 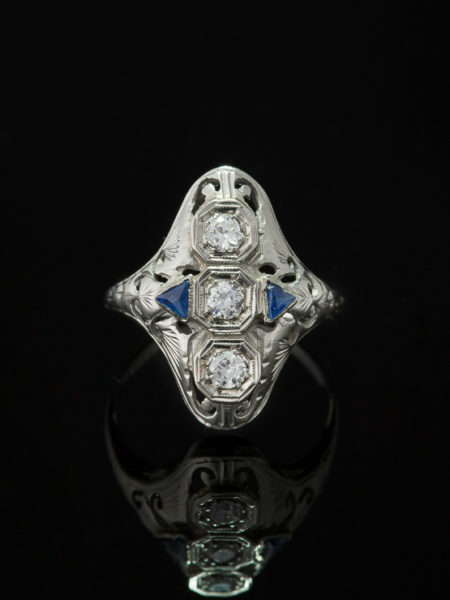 With lots of scintillation, flash and drama this Vintage diamond halo ring could easily become your signature look. 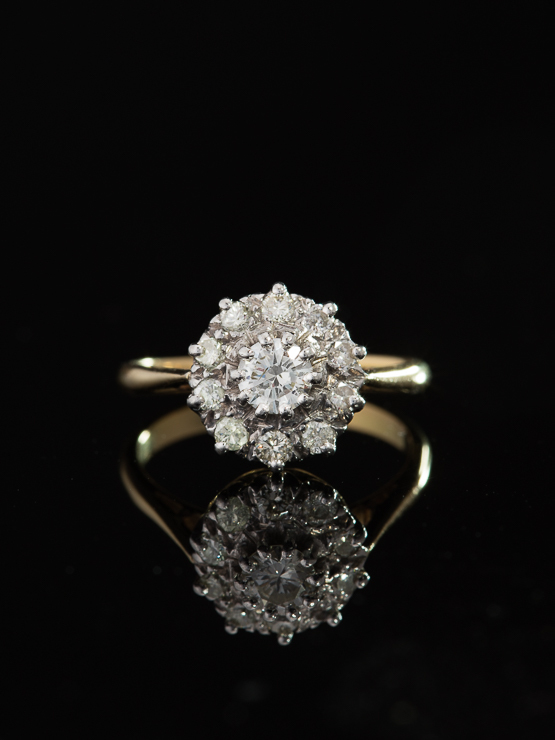 The visual interplay of the ring “speaks” for itself, with its concentration of sparkling gems presents a powerful picture of glitter and shine with a total diamond content of approx 1.09 Ct. 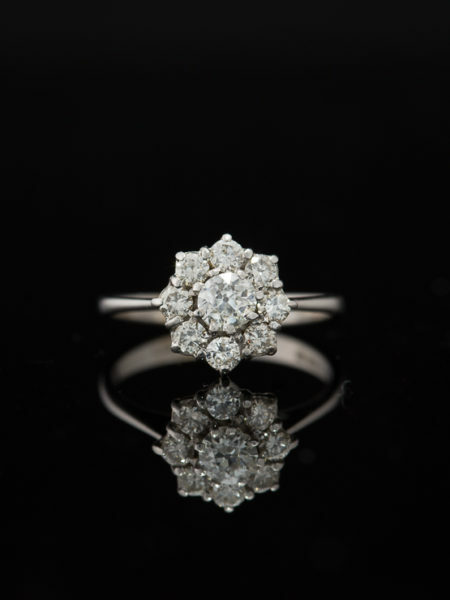 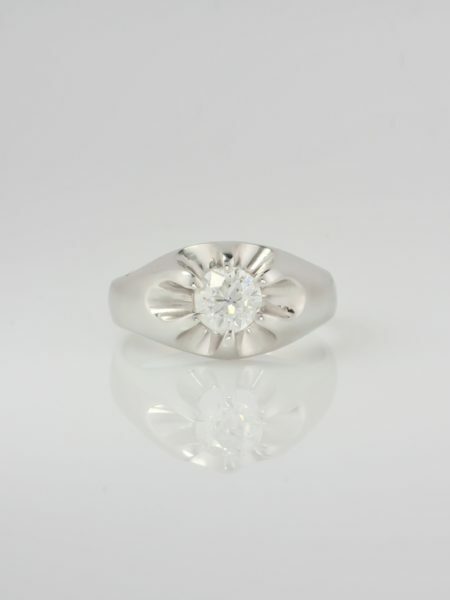 Taking on the ring form known as halo or cluster, a centered old brilliant cut diamond of an estimated of approx .45 Ct flashes in a lively prismatic dance of light, set on icy white platinum. 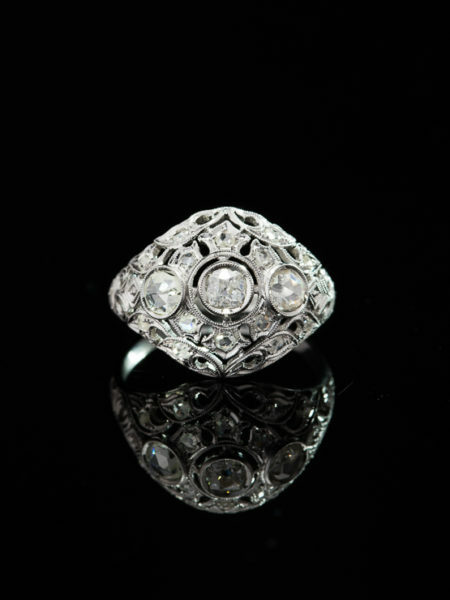 Framed by ten old brilliant cut diamonds provide in a splendid surround of approx .64 Ct set on icy platinum. 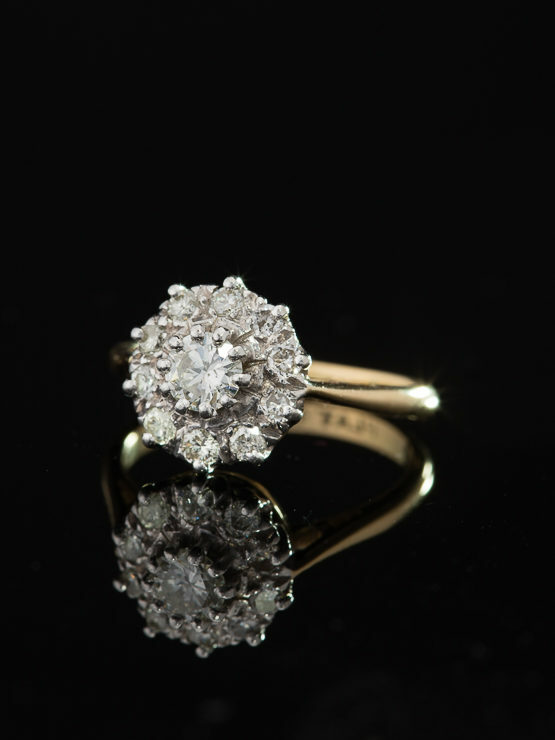 In all a big burst of 1.09 ct of diamonds create a symphony of flash and glitter all set on platinum over luxurious yellow gold. 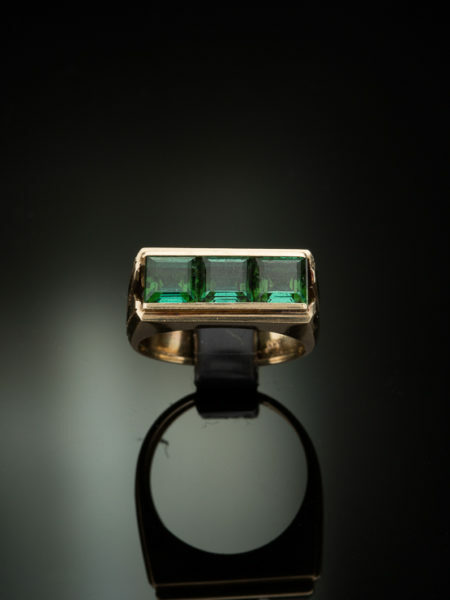 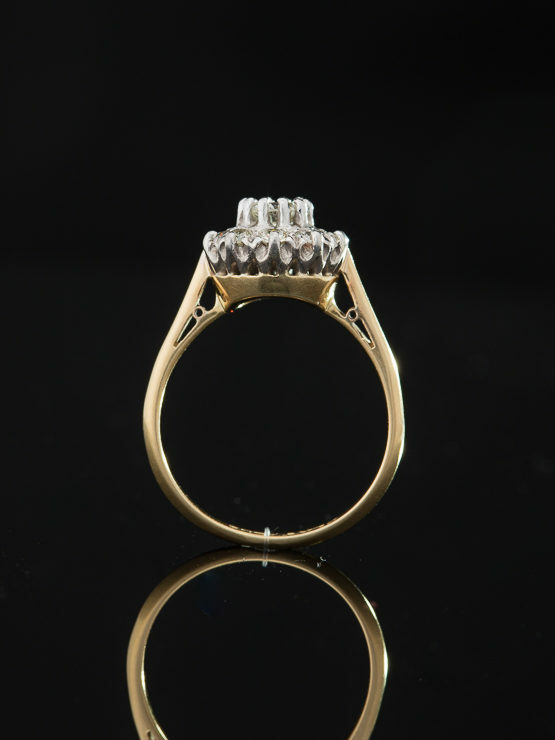 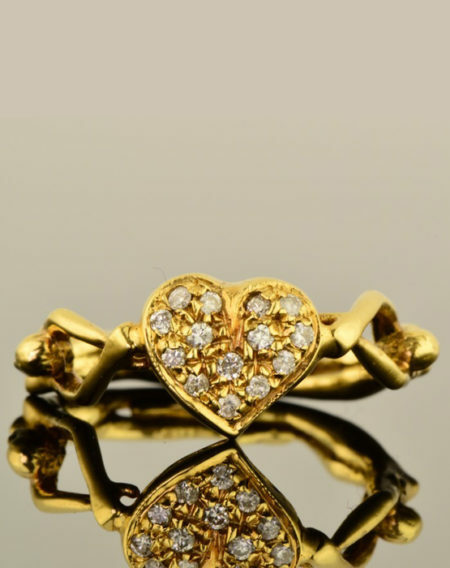 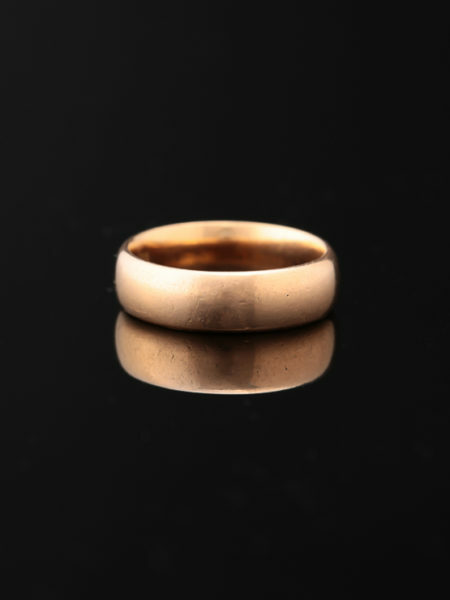 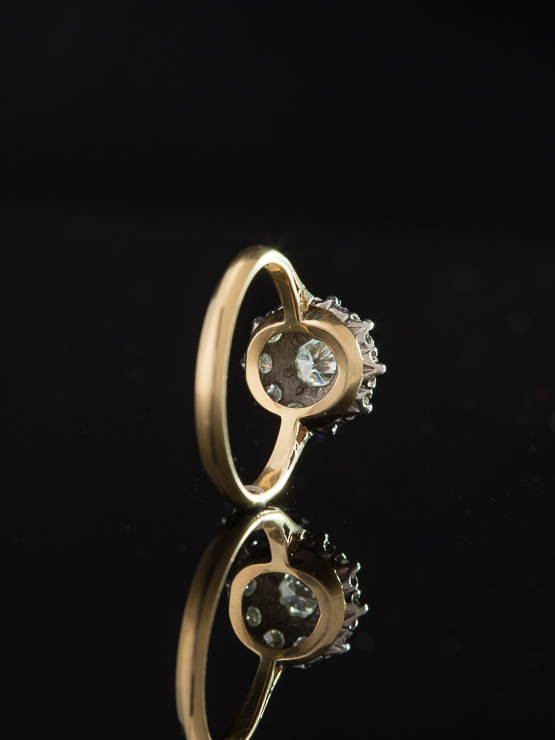 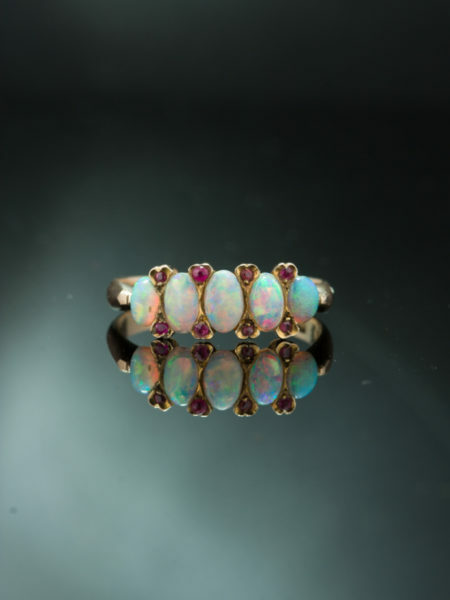 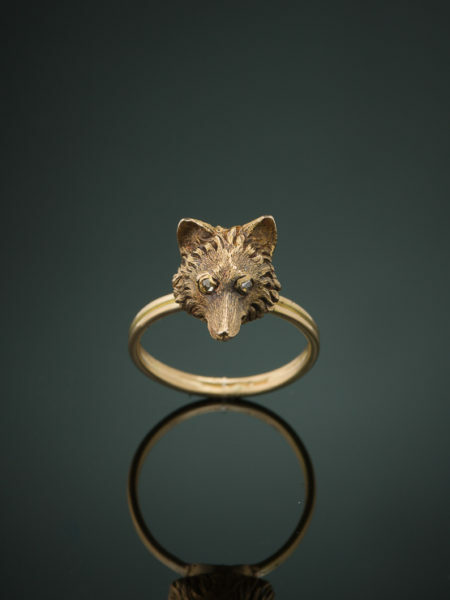 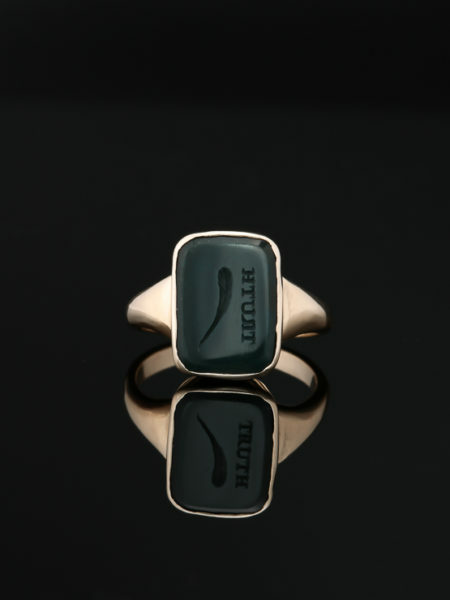 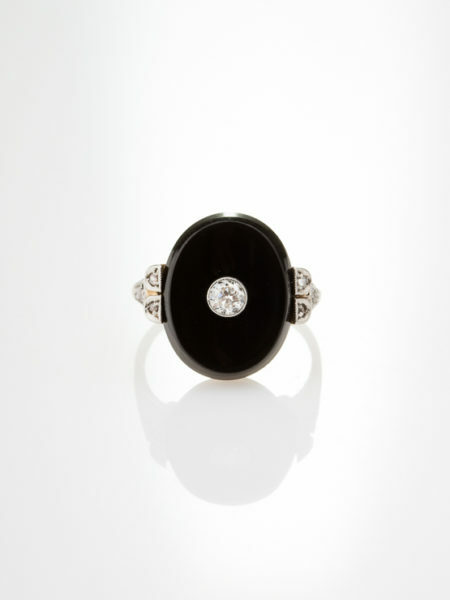 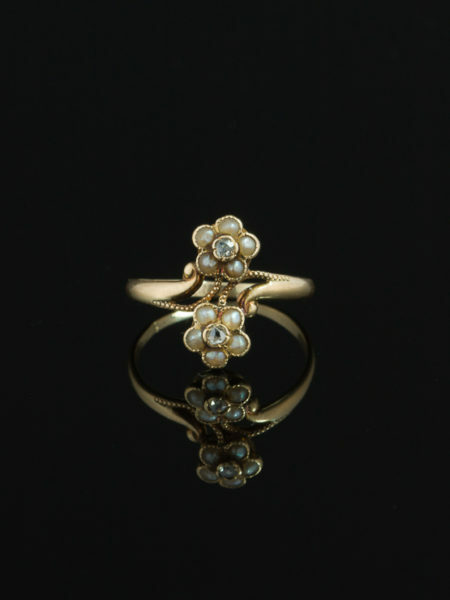 Artfully crafted in 18 Kt yellow gold and platinum, marked for gold and platinum assay. 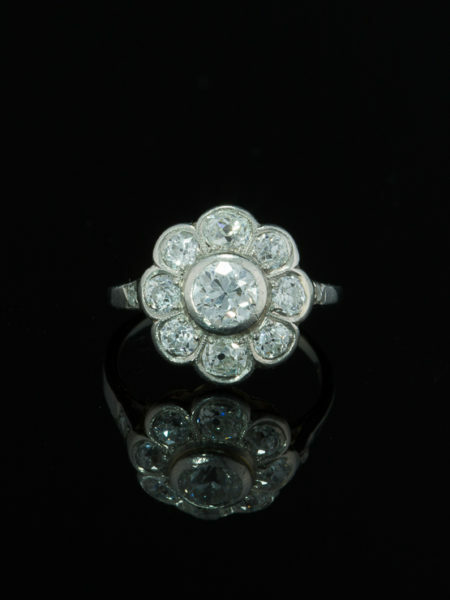 Very good overall condition commensurate to use and age. 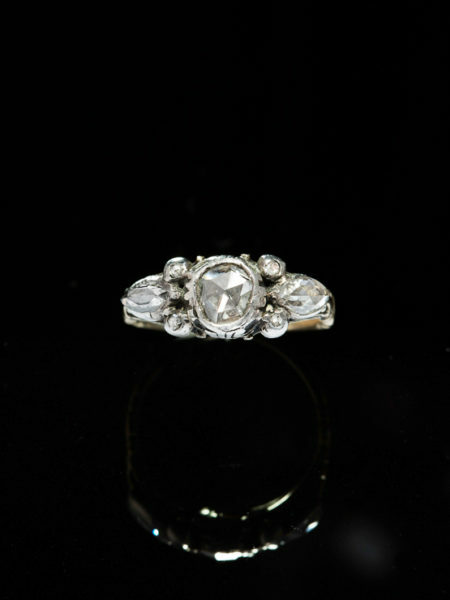 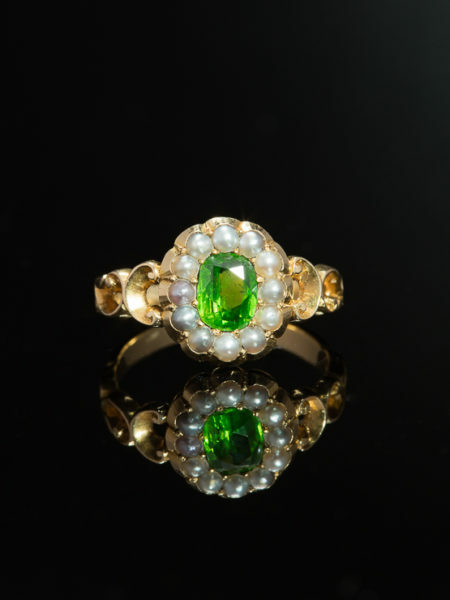 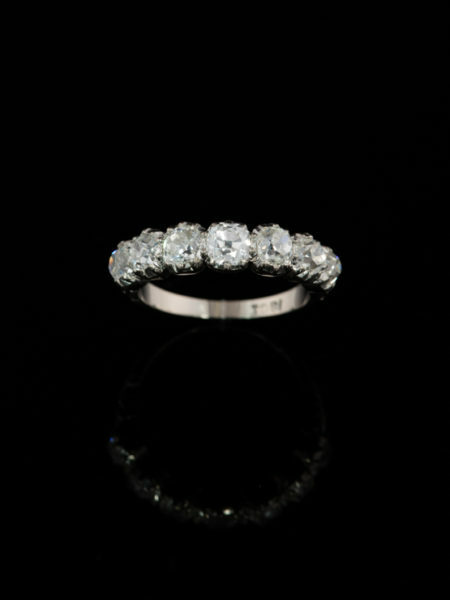 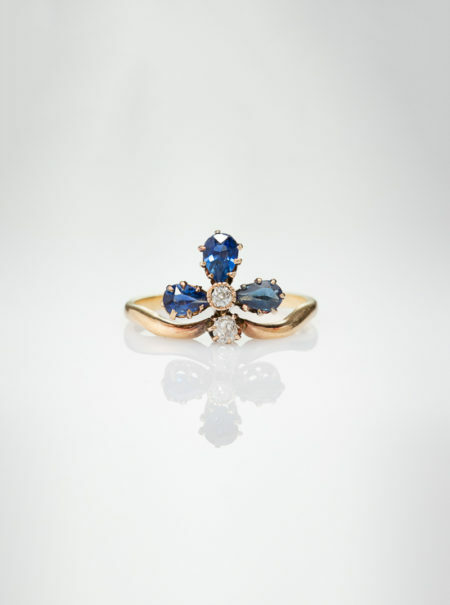 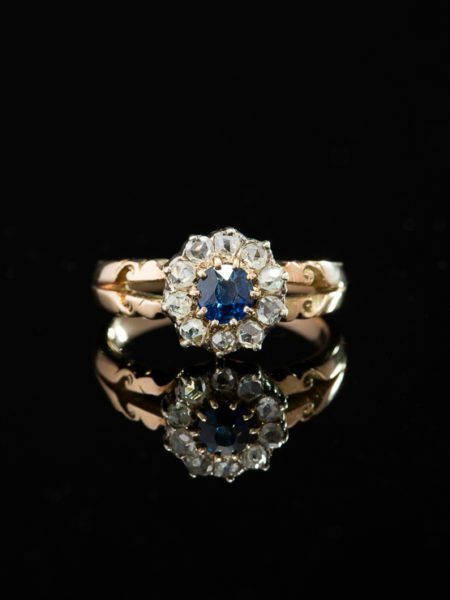 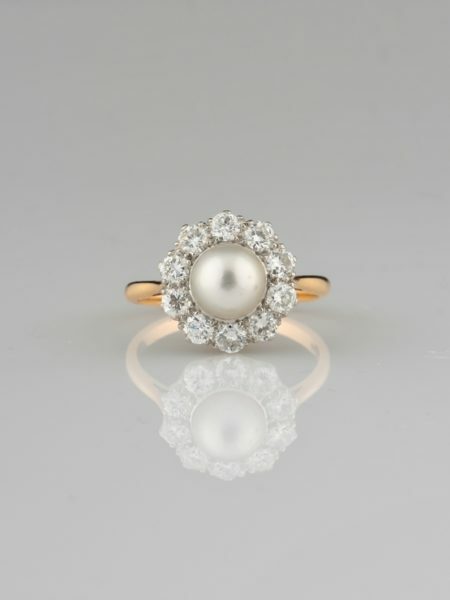 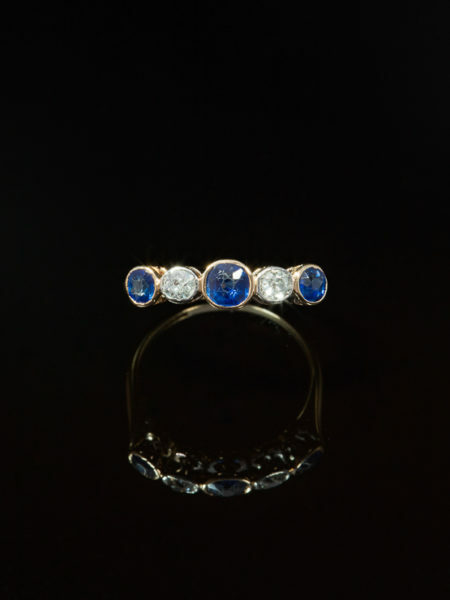 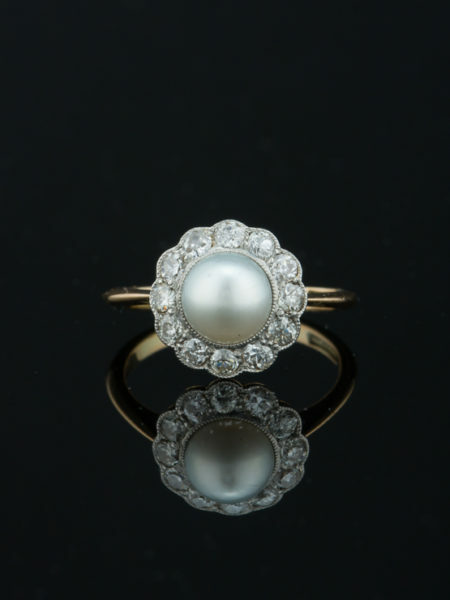 Romantic, classic and full of light perfect as engagement ring or to light up the darkest night. 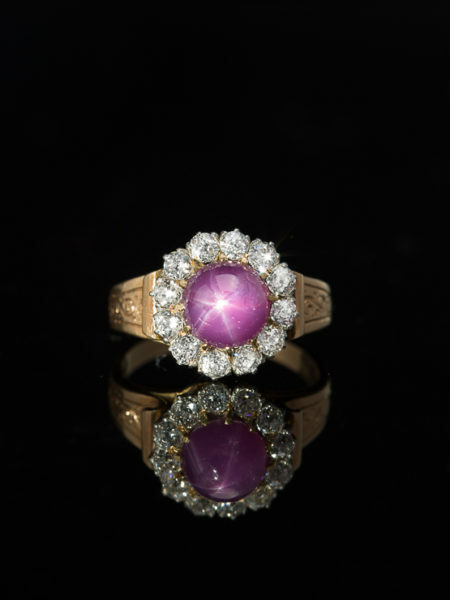 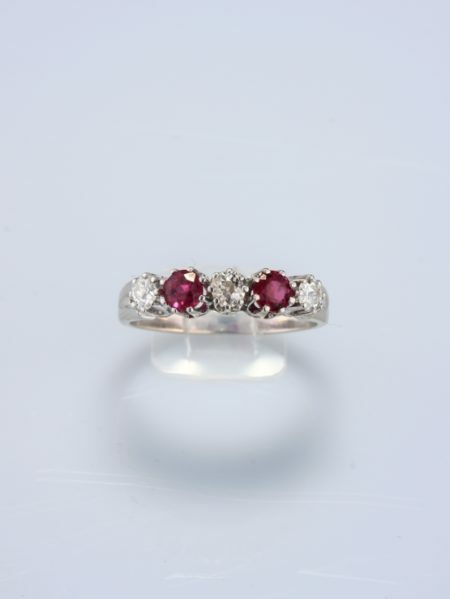 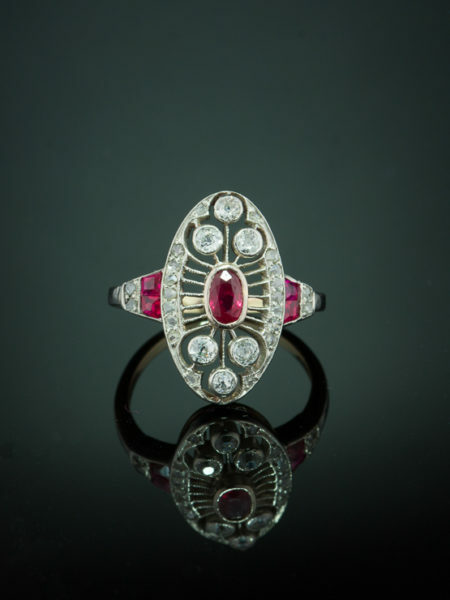 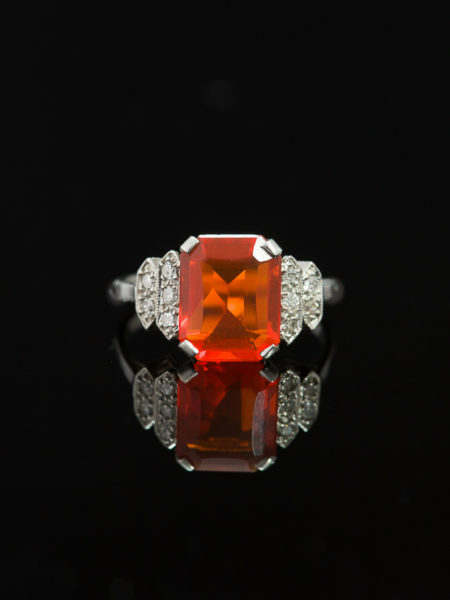 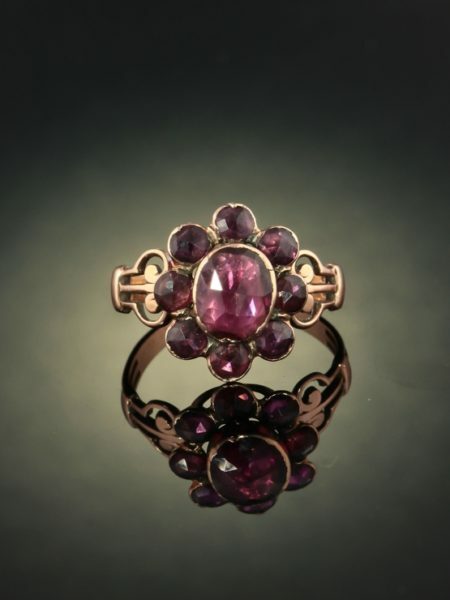 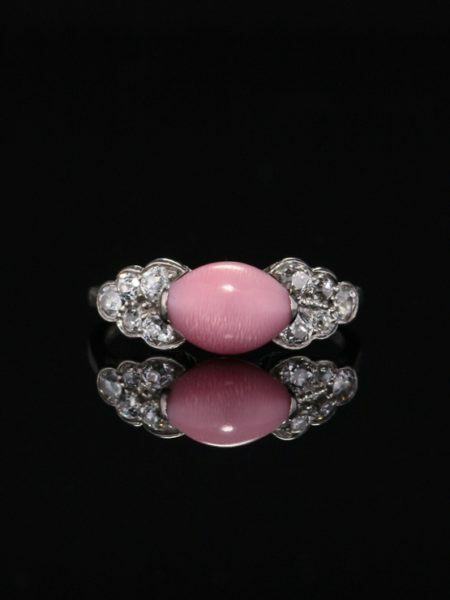 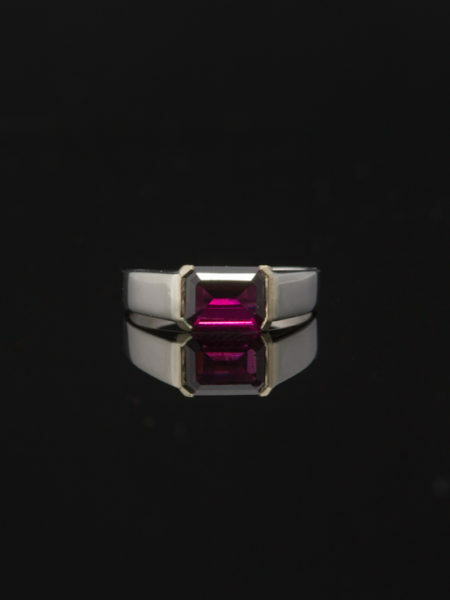 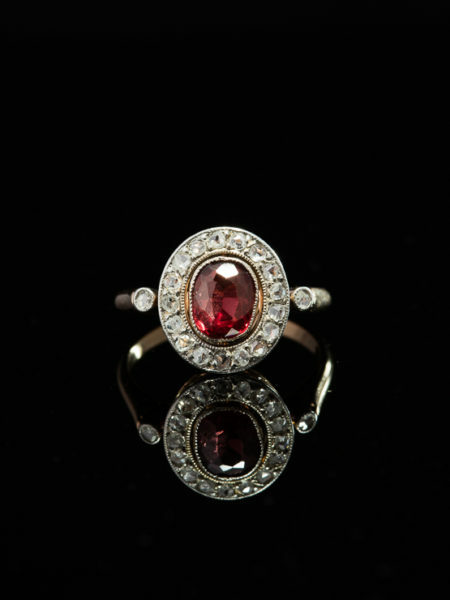 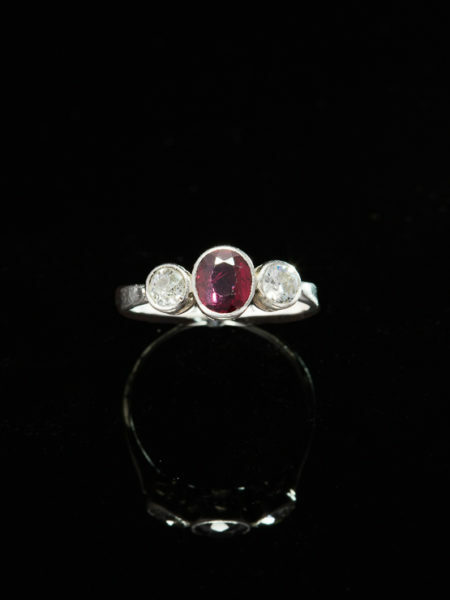 Passionate Style and glamour reign supreme in this timeless vintage natural ruby and diamond five stone ring. 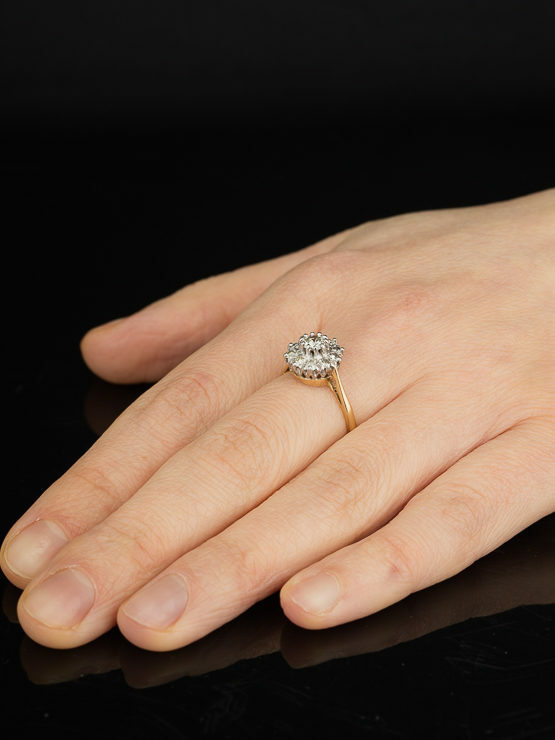 Lusciousness personified in this Vintage white gold band with a sparkling line of bright diamonds and a dash of colour dancing across the finger.